I'm not much of a fantasy reader. 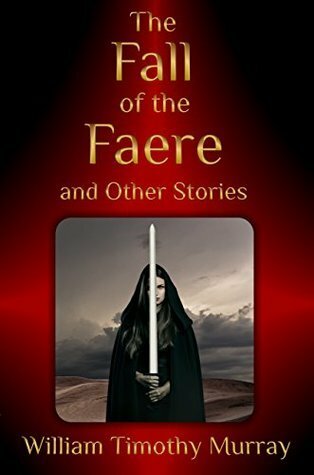 I've read enough to have some understanding of the mythos of witches and vampires, but faere stories still elude me. It always feels like I'm missing something. So when William Timothy Murray offered me his short story collection at a local author event, I warned him that it wasn't something I normally read. As it is not a genre I typically read, it took a while for me to get into this collection of interconnected short stories. Actually, while reading the first two stories, "The Fall of the Faere" and "The Throne of Vanara", I wasn't sure if I would make it through this relatively short book (it's only 148 pages). It is well written, but it was like reading an ancient historical record. I kept thinking, "this is like reading 1st and 2nd Chronicles in the Bible." It was kind of dry and fact-filled. But I decided to push through and I'm glad I did as I loved "The Last Book of Nimwill". It was told in story format and the imagery wonderfully detailed. I enjoyed the following stories in this collection. And by the end, I was considering reading The Year of the Red Door, which is the series to which this collection of stories is the companion. The stories give backstory to the series. If this collection is anything to go by, then fans of epic fantasy will love the series and be glad for this companion collection.